Shockwave sole upon impact the Shockwave sole flexes to provide extreme ball speeds for maximum distance. Low, Deep Centre of Gravity produces a stable high launching, low spinning flight that leads to incredible versatility from all lies. Larger body helps to maximise launch and stability through the entire swing and reduce twisting at impact for incredible forgiveness. 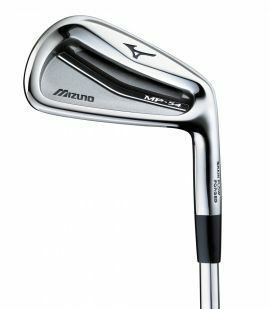 The latest release by Mizuno and their precision golf engineering masters is the wonderfully awaited MP-54 featuring a players-iron style size and shape. 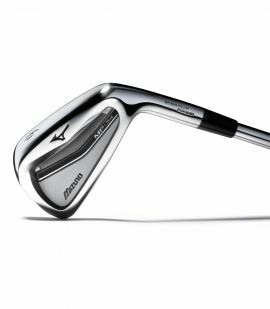 With the MP-54’s milled pocket cavity, Mizuno was able to reposition an average of 16 grams to the blade’s center section in an effort to give the new “Step Muscle” MP-54 iron the feel of a traditional iron. Boron is incorporated to enhances performance and longevity. Quad Cut Groove technology to ensure total spin and distance control. The Mizuno JPX E3 Irons are packed with technology that raises the bar in terms of consistent ball striking, accuracy and distance. Wave sole technology that will produce low spin, a controlled ball flight and maximum versatility. Amplified Wave sole technology to increase energy transfer to the face at impact. Faster 1770 Maraging Steel Face is more responsive face for increased ball speeds. The Mizuno JPX 900 Forged Irons are the second generation of boron forged irons that will still provide a very classic Mizuno soft feel but with thin, strong face for incredible distance gains. The JPX-EZ irons are just as you predicted, an easy-to-hit iron that improves your odds just by owning a set. With the ultra pocket cavity in the 4-7 irons, they fire longer and straighter shots, with greater predictability. The 5-PW give shot-makers the ability to hit any shot imagined. Attack the course. Play like you've never played before with JPX-EZ irons. Your lowest scores are just one swing away.